The word magick (which is a very different thing from Magic) inspires all kinds of notions. For some it invokes Harry Potter-esque images of fireballs, animal transmutations, and various other kinds of Hollywood inspired imagery. Others may see it as a way to open psychological doors closed within their own lives. And to others yet, it will seem like an exciting career path. Then there are those for whom it is a mere word, as it is something they grew up with and have always known. It has been a regular part of their existence their whole life. 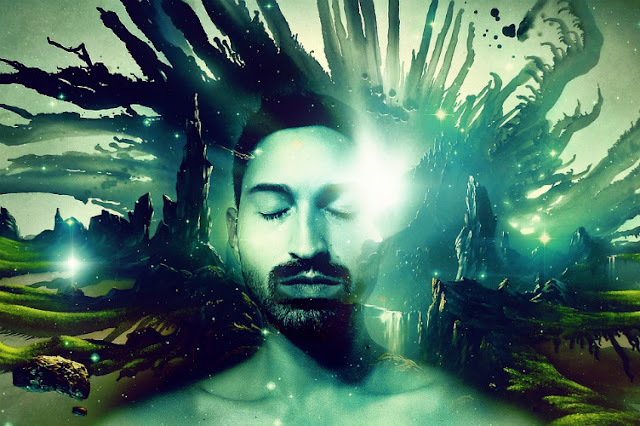 They may even have a definition of magick that closely resembles what others may define as something else entirely, like science, or self help, or any number of other more socially acceptable words. But to the person in question, magick is not a mysterious, supernatural force. It is simply a way to get things done in their own world. The point is that it ignites a curiosity and a sense of excitement in many. Its appeal revolves around power for some, enlightenment for others, and personal growth for still others. In this article the intent is to share some basic concepts that will allow anyone to know that they are already a magician if they make the active, knowing choice to be one. Every person has all that is needed to practice the fundamentals of magick right now. Something as simple as your finger can be your wand, but even that isn't really necessary because the mind can house the entire temple and all the weapons and tools of the magician. The problem is that the art has been hidden from the masses for a long time. Society has built mental barricades that prevent people from believing in their own power. Because of this it isn't easy for people to accept certain realities. Faith in society's “reality” prevents them from questioning the notion that magick isn't real. They could quickly learn enough to engage in magical practices that would change their lives if not for this. But this doesn't mean that learning magick is quick and easy. 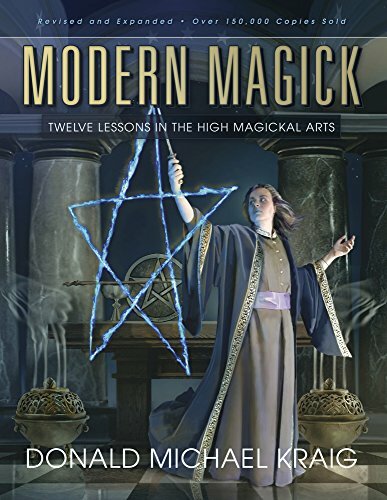 In fact it is more accurate to say that it is a practiced art, and only those who are willing to put forth the effort to learn the basics of magick, mysticism, even physics and particle physics, are going to have real success. In fact, Aleister Crowley once described magick as “the method of science, the aim of religion.” There is a strong implication that one should approach magick in a scientific, objective, and well educated fashion. But also there is the implication that magick is a tool for personal realization and not material gain. That is why the mind is the temple before all else for the magician learning his craft. From the way some roll their eyes when they hear the word "magick," one can easily see that many put no stock in it as a genuine practice. However, any practitioner worth their salt would be able to tell you straight to your face when they have seen success in magick, and success would be their proof. There are always people wanting to learn magick. It is a highly individual endeavor primarily fueled by the intent and will of the person. The best spells and rituals are those crafted by the person or persons performing them, but that doesn't mean one cannot learn from what was crafted by others. All knowledge is useful, after all. Just don't be trapped in the notion that you must only use that which has come before. Magick by its very nature is innovative. So innovate. What is magick? Why is someone already a magician simply by deciding to be one? (< this one addressed earlier in). For that matter, why is magick spelled with a K? And, why is Aleister Crowley relevant to magick? Be just a little patient, and this article will attempt to touch on each of these things and more. Keep your mind open (but not so open that your brain falls out!). And be forewarned, Aleister Crowley and his words will probably be referenced quite a bit. That bit about keeping an open mind--it definitely applies where Crowley is concerned. 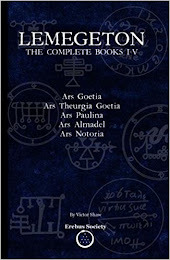 The background concerning magick from which the author will largely draw is a philosophical field (some even say a religion) known as Thelema. 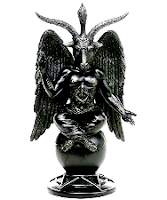 Many who have little knowledge concerning Thelema have much to say about it, which comes from a poor understanding of the subject matter--knowing only that Aleister Crowley founded it and therefore it must be bad, or evil. The obvious advice is to study the subject for yourself using sources both from within and outside the world of Thelema and to reach your own conclusions concerning it. Why Magick and Not Magic? The letter K is the eleventh letter of the English alphabet. In some systems of magick that predominate in the western world, the number 11 corresponds with magick. This correspondence and the significance given to it derives from a method of Hebrew numerology called Gematria. Gematria is directly related to the Qabalah. In numerous Magickal Orders, including the famous (infamous?) Hermetic Order of The Golden Dawn, there is a Grade or Degree system based upon the structure of the Qabalistic Tree of Life. In that system, each sphere on the tree is numbered, 1 through 10. When the Grade of the Aspirant in the Order is added to the number of the Sphere (Sephirah) the Grade corresponds to, the result is always 11. There are also many other reasons the number 11 is significant to Magick, and more are discovered each year. This needs to be brought up from time to time, as it is a common belief that the k spelling is based on nothing more than whim. But on a more basic and obvious level, the letter K is added to the word Magick simply to differentiate it from the stage tricks and illusions of David Copperfield, David Blaine, and Chriss Angel (each of whom ia an astoundingly talented individual in their own right). Magic tricks the viewer into thinking a change has taken place. In Magick, the change has actually taken place. What's the Deal With Thelema? 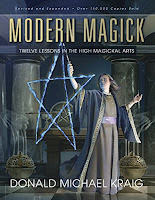 It is difficult, at least for this author, to talk about magick without also discussing Thelema. For many, they are one and the same. This is why Crowley will show up in this article. He is the prophet who introduced Thelema to the world. He is also the reason magick is organized and practiced the way it is now. So bear with me. This is a large subject but it is possible to break it down to bite sized bits for an introduction to the subject. This article will be in multiple parts so as to make it easier for the digital reader to digest. Think of it as chapters. It isn't easy to predict how many chapters there will be, but including this preramble (see what I did there?) there should be this and eleven chapters. Hey, there's that number again! I will attempt to get these chapters out as soon as possible in each individual case. I hope you enjoy reading; see ya soon with the next increment of this series!